We’ve all heard advice about being prepared for an interview. We know to do our homework on the company; know the individuals we’ll be interviewing with and their roles. We think through situational questions and our responses. We’re prepared to tie our experience to the responsibilities of the role we’re interviewing for. And above all else, we come prepared with questions! But do we go past that in our preparation? How often do we think about doing our own analysis of the company; our own interview of them, and how to spot a great boss? I can tell you from personal experience, and some record of job hopping, that it comes with practice. Not to suggest you have to job hop to figure it out – that’s me learning from my mistakes. Hopefully, you can take this advice as you look towards your next, and perhaps last, interview! How do you spot a great boss and the right fit for you? I’ve tried to simplify what I’ve learned and heard from many mentors over the years it four simple categories. References are a common job search dilemma, especially for those that are already employed. You can’t ask your current boss to be a reference unless you’re moving, or facing a lay-off, downsizing, or a merger, or other obvious situations. 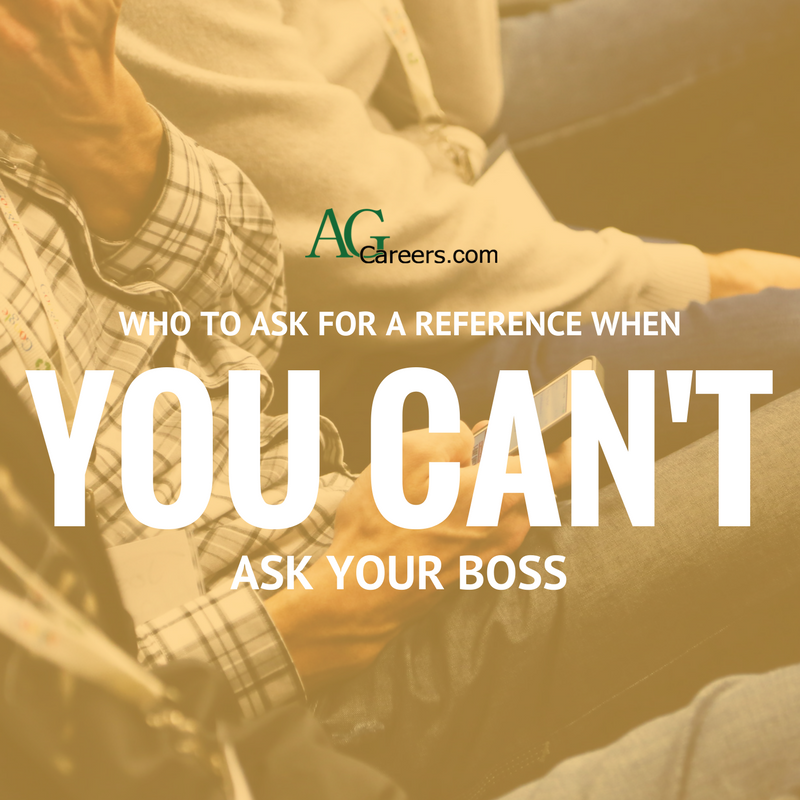 So who to ask for a reference if you can’t ask your boss? This is one of the many reasons why it is important to stay connected with former bosses and supervisors; keep the line of communication open so they can serve as references in the future. 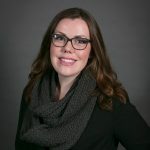 AgCareers.com Campus Ambassadors & Interns: Where Are They Now? AgCareers.com has employed several interns over the nearly 20 years in business as well as numerous campus ambassadors throughout North America during the duration of the AgCareers.com Campus Ambassador program. We caught up with four former interns and campus ambassadors to hear how their time with AgCareers.com impacted their professional careers and what they’re doing today. How did your position with AgCareers.com aid you in your professional development? Being an AgCareers.com ambassador helped me understand the importance of networking and expanding your professional circle. It’s easy to stay in your comfort zone and to avoid the risk of putting yourself out there, but nothing magical happens in this safe space. As an ambassador, I tapped into my network and grew my connections from the opportunities those connections provided. Working with new students, faculty and industry professionals exposed me to different ways of thinking and opened my eyes to opportunities I never knew existed. 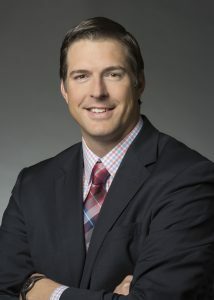 I would not have had the courage (or network) to pursue a career so different from what I had planned for without being a part of the AgCareers.com ambassador program. Agriculture is such a great industry to consider joining! 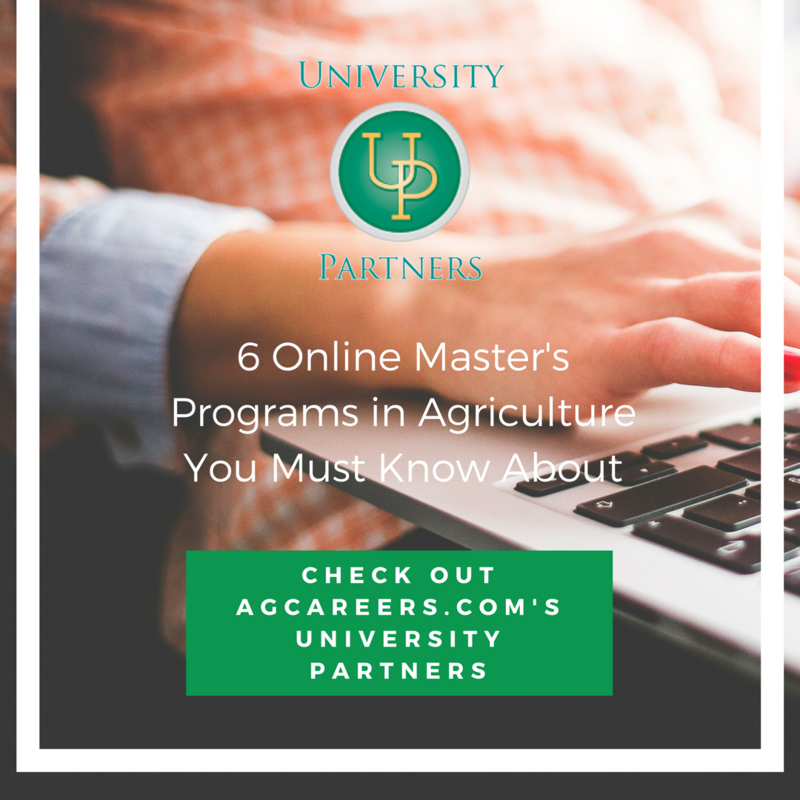 As consumer demand for agricultural products is growing both domestically and internationally, demand for a diversity of careers increases as well. And contrary to popular belief, many jobs in ag are very well-paid. 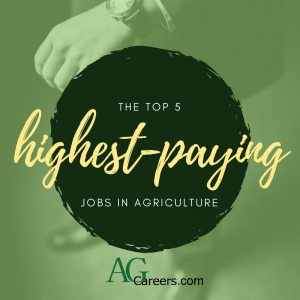 To illustrate, below is a list of the five highest-paying jobs in agriculture.